More than 70 companies specializing in production, research and services help generate synergies at CHEMPARK. The sites in Leverkusen, Dormagen and Krefeld-Uerdingen account for around one-third of the total chemical production in North Rhine-Westphalia. From here, around 350 million consumers are reachable within one day’s journey by truck. 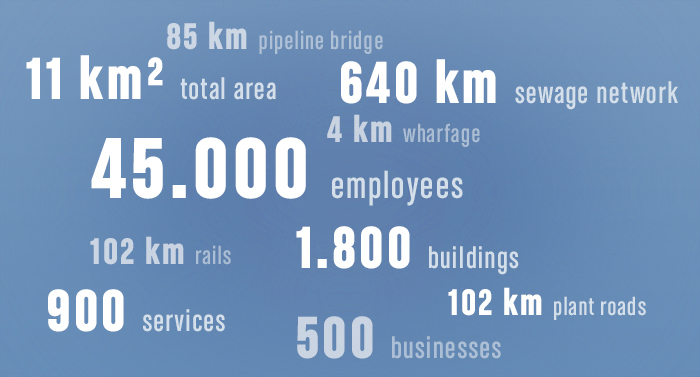 CHEMPARK offers ideal access via waterways, railways and an extensive freeway network and is within easy reach of the international airports Cologne-Bonn and Düsseldorf.